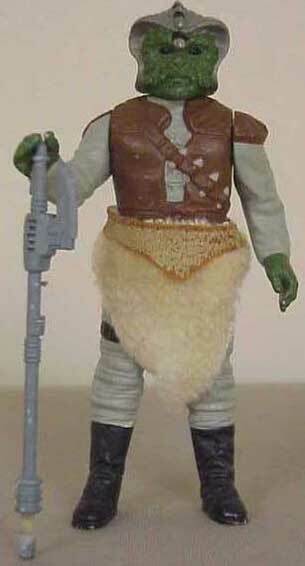 This is a hardcopy of the Klaatu figure. 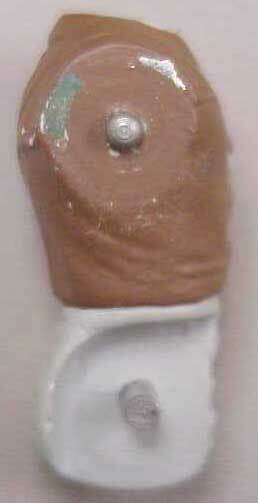 It's fully painted using the same color scheme as is found on the production figure. Here's a shot of the piece in a disassembled state. 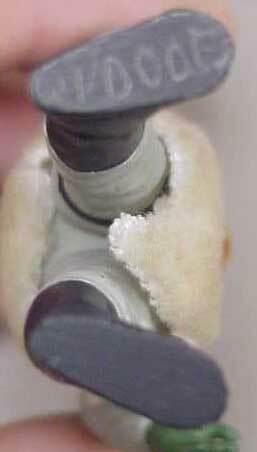 As is true of most hardcopies, the limbs and head of the figure are attached to the torso with metal pins, and can be removed with ease. Here you see the side of the torso and a shot of bottoms of the figure's feet. 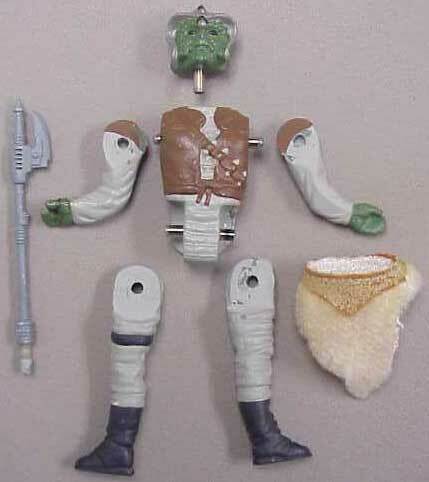 Due to paint wear on the torso, the green Dynacast material it is composed of is clearly visible (the staff accessory, however, is made of a tan material). As you can see in the second photo, the word "Wooof" [sic] is inscribed into the figure's feet. 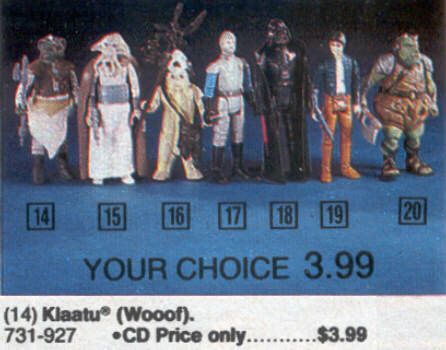 Woof was the ILM nickname for the character that eventually became known as Klaatu. 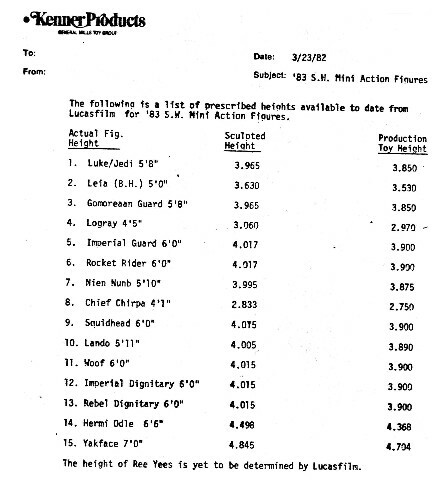 An early Kenner memo shows this name along with some other interesting name variations plus a couple of figures that apparently never even made it to prototype form. The name Woof made it through some international advertising channels as well. 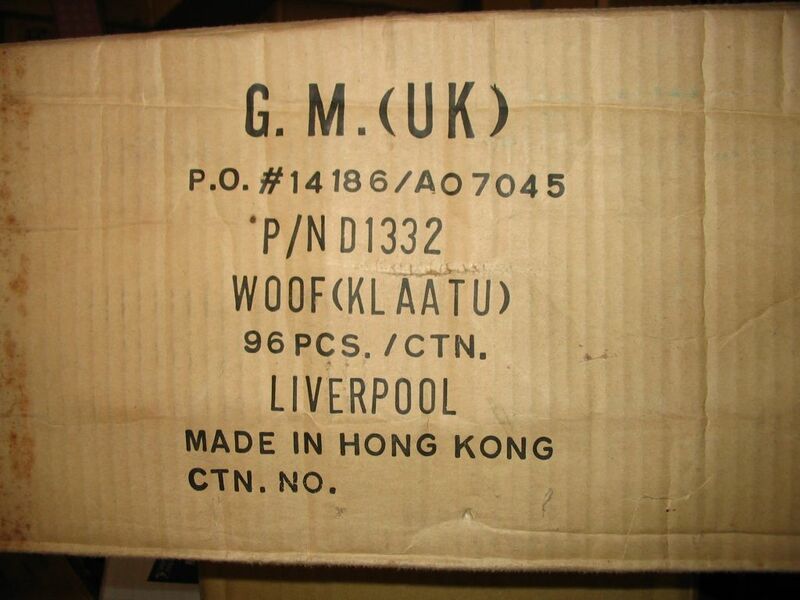 A 96 count figure shipping case from the U.K. has Woof(Klaatu) printed on it and a Canadian catalog advertises the figure, but with the incorrect Wooof spelling. 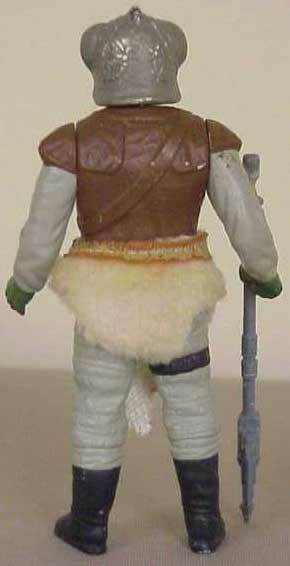 It's funny to see a pet name assigned by the artists at ILM get transferred so far along in the toy creation process. This kind of anomaly tends to happen when scant information is initially available and things have to be created or decided early in the process in order to meet marketing deadlines.